The augmented reality industry made great strides in 2017, but its apex is not even in sight. In terms of software, augmented reality is approaching meaningful mainstream awareness, thanks mostly to Apple and ARKit. Meanwhile, on the hardware side, AR is very much in its infancy, with headsets mostly limited to enterprise customers or developer kits and the majority of smartphones lacking the sensors necessary to achieve much more than parlor tricks. We now have enough specimens of AR software and hardware to compile a roster of the best efforts of the industry. Rest assured, we expect every item listed herein to be surpassed in 2018 either by their next iterations or new entries. While Apple pushed augmented reality further up the adoption curve with ARKit on the software side, the iPhone X presented one of the chief advancements in smartphone hardware for AR. The TrueDepth camera enables the FaceID and Portrait Mode features of the iPhone X, but it also makes possible Animojis, the face-tracking animations that have captured the imaginations of users. Moreover, creative developers have found ways to apply the camera's capabilities to a myriad of interesting experiments. Many expected more out of the anniversary edition device in terms of actual AR features, but the iPhone X still stands above all smartphones in terms of both hardware and software capabilities. And let's face it, people were going to lineup for the devices regardless of price or underwhelming features. Runner-up: The Pixel 2 from Google is in an elite group of Android devices that officially support the ARCore platform. 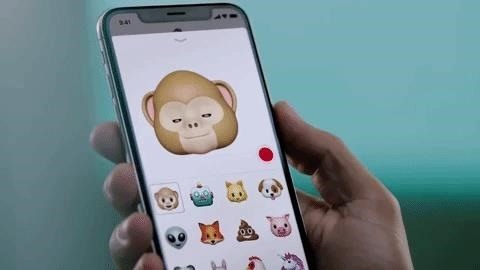 Moreover, it's the only device (along with the original Pixel smartphone, so far) that officially supports AR Stickers, Google's version of Snapchat World Lens and, for all intents and purposes, the answer to the Animojis on the iPhone X. 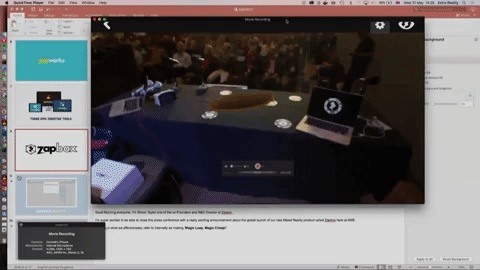 Based on the promotional videos demonstrating the feature, it's a rather impressive implementation as well. SUBSCRIBE: The Next Reality Weekly Newsletter, Insider AR News, Developer Updates, Jobs & More! While the HoloLens is still considered by most to be the premier augmented reality headset available in terms of pure capability, it's also a bit long in the tooth at the moment. Meanwhile, the Meta 2, which technically began shipping in Dec. 2016, finally achieved enough scale to this year to appear to be more than a mirage. While it surpasses HoloLens in terms of field of view, it is handicapped as a desktop-tethered headset. In addition, the device's operating environment, called Meta Workspace, wowed attendees at AWE 2017, walking away with the Best in Show award. Runner-up: Despite the resurrection of Google Glass via the Enterprise Edition, the Vuzix M300 (which is now available for order by anyone) is holding its own as a top pick for workforce deployment. A version of the smartglasses designed to be tethered to a wearable Toshiba device holds the tantalizing potential of pairing with Android devices via USB-C and leveraging ARCore next year. One of the most interesting things I saw this year was the reveal of the Zapbox by Zappar at AWE in June, during one of the most entertaining sessions I went to. 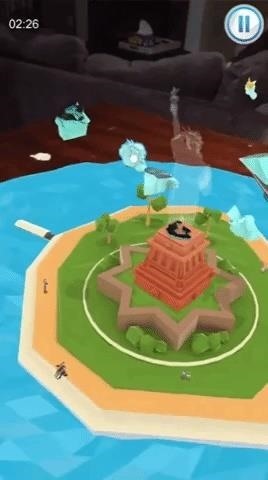 This affordable, cardboard-inspired mixed reality system works with their ZapWorks content creation platform, which lets you build experiences called Zaps in minutes. It lets you have mixed reality experiences through a $30 headset, instead of spending $3,000 on a HoloLens. 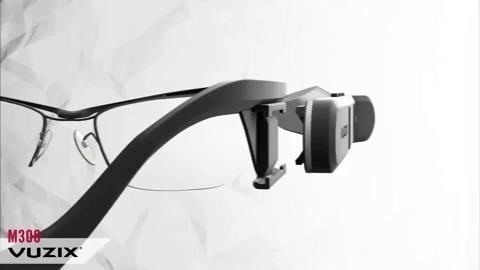 Runner-up: The Lenovo Mirage should win this category, as it is technically the first mainstream consumer AR headset from a household name. The device is better known as the headworn device that projects the holograms in the Star Wars: Jedi Challenges game. Alas, its claim to fame is also its main weakness, as the Mirage is limited in content to its assigned Star Wars game at the moment. My daydream is that some enterprising individual will figure out how to hack the device and unlock its full potential. With the appearance of a futuristic desk lamp, Lampix can turn any surface into AR display. 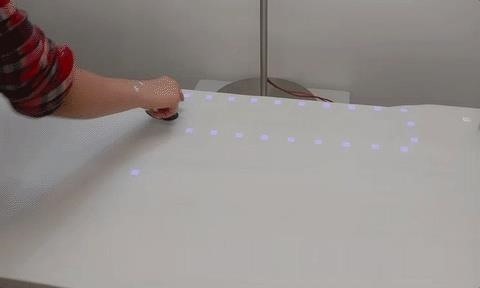 The device is able to track hand gestures and interact with objects. For example, it can be used to extract data from a printed page or manipulate a projected pivot table with physical blocks. Or, how about some tower defense action? Runner-up: Among the options for glasses-free holographic displays, HoloPlayer One from Looking Glass Factory is the most affordable. The device projects light from an LCD display, filters it through a lenticular sheet, and bounces it off a retroreflective screen to create a stereoscopic lightfield in free space. 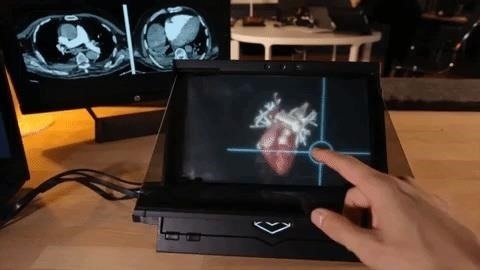 Users interact with the holograms by way of an Intel RealSense camera that sits atop the unit. Unfortunately, it is also limited in availability; the Christmas rush option has expired, and the next batch of displays will not ship until April 2018. There's little debate here. ARKit didn't just change the landscape of mobile AR apps, it created a whole new ecosystem for developers to work in and businesses to capitalize on. It's the reason some of the best apps of the year are powered with ARKit. And yet, it's a software shortcut that's essentially making up for the lack of rear-facing depth sensors in iPhones and iPads. That could change in the next few years, but in the meantime, it gives developers a sandbox where they can build an army of AR-capable apps. Runner-up: ARCore showed up late to the party, but Google's version of a smartphone AR platform appears to already surpassed Apple's offering in terms of capability. Google might be playing from behind, but it has the installed base to catch up with Apple in 2018. Honorable Mentions: Unity and Vuforia still rank among the top software tools for creating AR experiences, and both offerings made advancements in 2017 that enabled developers to create more interactive and realistic content. Meanwhile, Amazon Sumerian will be the platform to watch for 2018. 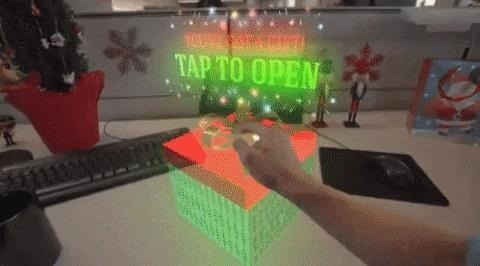 It could become the PowerPoint of AR, something that anyone can use (for better or worse). 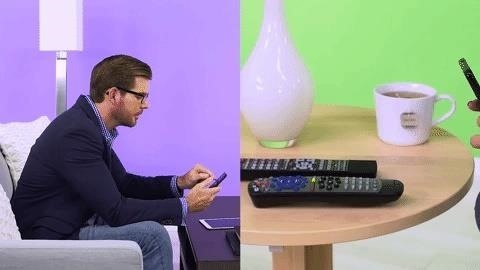 While it doesn't look like the most exciting game, PuzzlAR was successful in taking familiar gaze-based inputs for augmented reality headsets and adapting them to a smartphone, with the iPhone's spatial location and touchscreen inputs replacing head movements and hand gestures. Compared to other ARKit apps (or ARKit updates to existing apps), PuzzlAR truly feels like it's meant to be played in AR on a smartphone. 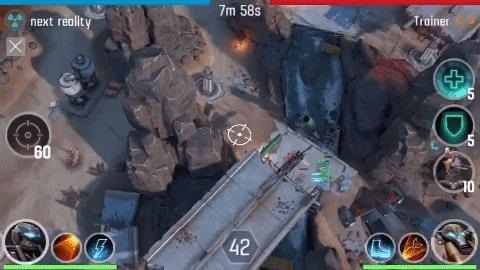 Runners-up: One of the more impressive games delivered in 2017 via ARKit was The Machines, an expansive tabletop "tower defense" game that takes advantage of 3D space and was the darling of the ARKit portion of Apple's iPhone launch in September. Vuforia Chalk takes AR remote support features previously available only to large enterprises and gives it to you, the people. So instead of trying to dictate Wi-Fi router troubleshooting instructions to your parents over the phone, you can annotate the camera view of their iPhones. Runner-up: One of the glaring shortcomings of ARKit is its inability to identify vertical surfaces, something that devices with depth sensors, like the Occipital Bridge, can handle just fine. So it's fitting that Occipital is also one of the app developers able to approximate room mapping in its TapMeasure app. The app not only allows users to measure the dimensions of a room, but also has the ability to export the results in a CAD file. Apps that show you products before you buy them will soon be ubiquitous across the retail industry. 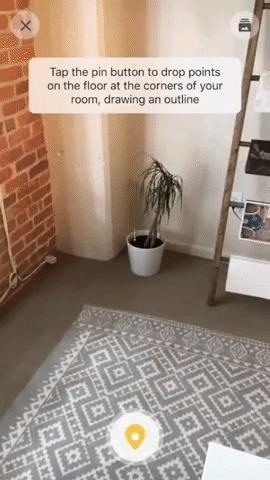 Companies from Houzz to Pottery Barn are already offering ARKit apps with such features. 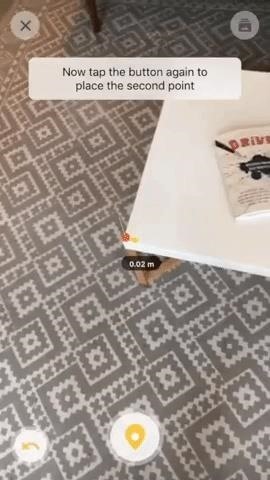 IKEA Place, a featured company in the ARKit launch presentation at WWDC, offers the best implementation to date. Runner up: The NBA AR app proves that you can make an app that's focused on fun while also selling stuff to customers. The main attraction is an AR basketball court that players can shoot virtual basketballs at Pokémon Go-style. It also pushes users to buy tickets or TV packages for their favorite teams. 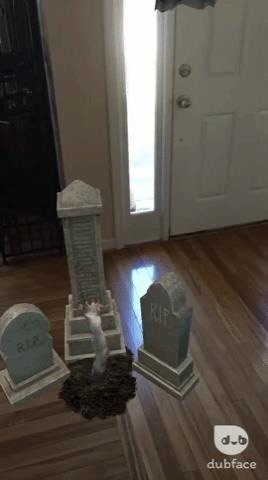 Snapchat is considered one of the pioneers of AR, particularly in the social realm. 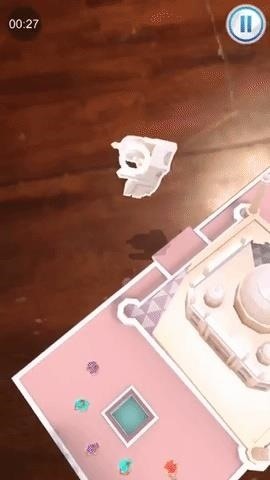 The company extended its trailblazing this year with a number of updates, but the World Lens feature is the clear attraction from an AR standpoint, offering everything from dancing hot dogs and hamburgers to adorable Porgs. While Facebook's cloning of these AR social features may have surpassed the originator in terms of adoption, Snapchat's implementation still looks better. Runner-up: Dubface is the app to have if you want to have Snapchat-like fun without having to "be on Snapchat." 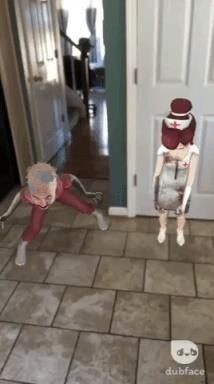 Not only can you place 3D objects in your personal space, you can also put your face (or someone else's mug) on a dancing, animated zombie. What do you think about our selections? Is there anything you think we missed the mark on? Let us know in the comments. Don't Miss: What's the Difference Between HoloLens, Meta 2 & Magic Leap?